Quiche (read as keesh) is hailed as a typical classic French savory pastry (even though the origin of the word came from Germany). 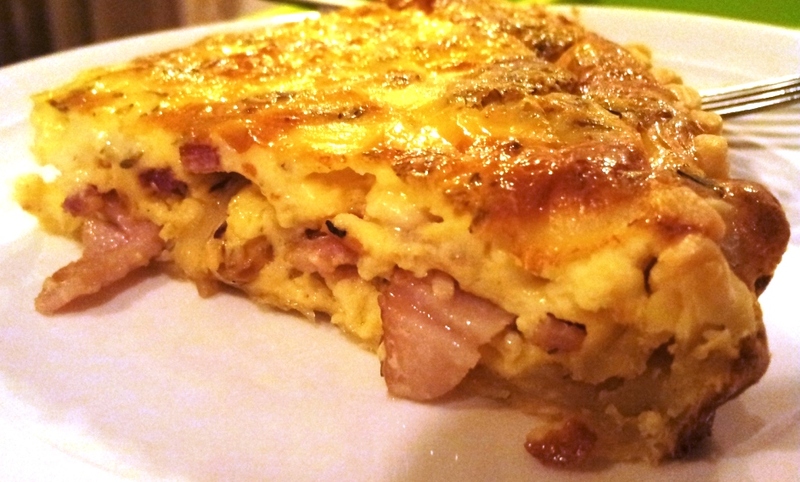 You can practically find quiche anywhere in France, kind of like a staple food there. My first time eating quiche was in Paris when I was rushing to catch a train. I grab the first interesting item from the kiosk to go. From then on, I was hooked. To me, quiche is such a clever way of rolling all things I love about breakfast into a handy pie-slice format. So easy to eat, healthy and not to mention, taste amazing. 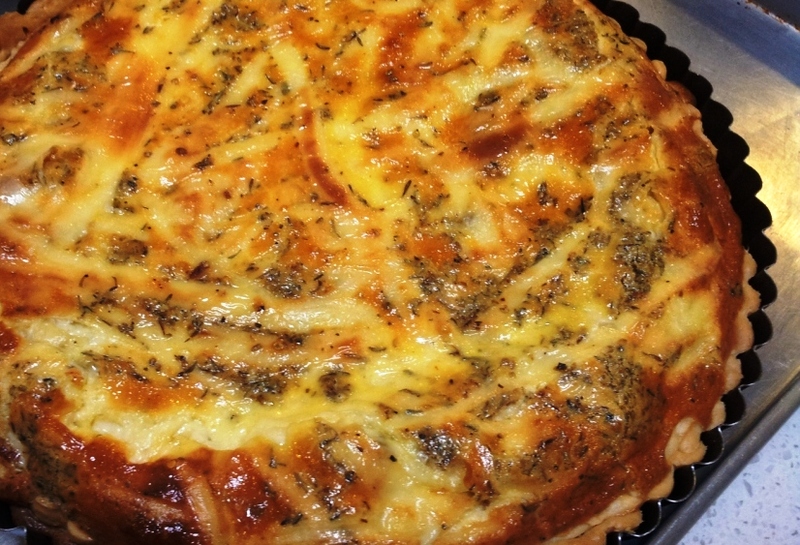 You’ll find many variant of quiche, and perhaps the most famous being quiche Lorraine. It’s truly a very flexible dish and no strict rules to it… So, have fun and throw in whatever you feel like having. 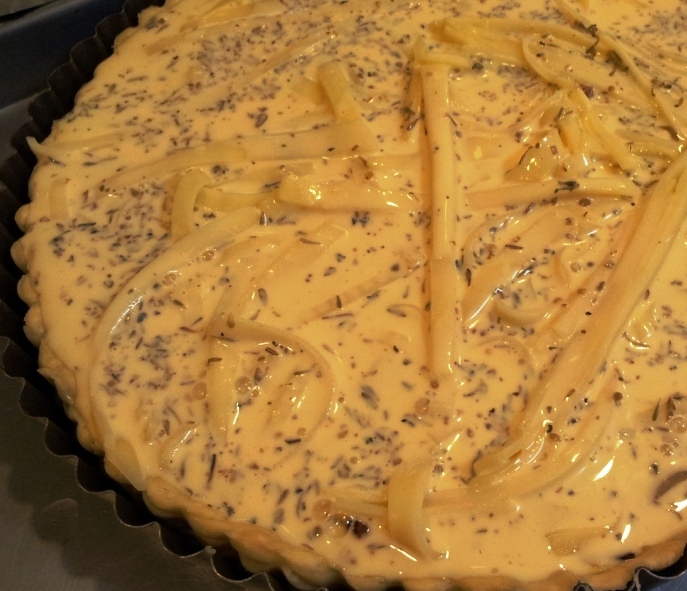 This is my version of quiche Alsacienne (which is basically quiche Lorraine with onion). * The classic recipe calls for Gruyère. But, you can always substitute it with Emmental, Comté or any similar hard cheese which melts easily.Gruyère originate from Switzerland. Comté is the French version of Gruyère. Look at my poor patch work. Ho ho ho…so ugly. Sigh…Don’t worry too much about it since it’s going to be covered later anyway. ;p Let it sit in the fridge to harden a little while you prepare your other ingredients. Sauté the bacon (No oil required as these babies release tons of yummy oil as it cook). Scoop up the pieces and let it rest on some oil absorbing paper. Using the same oil, sauté the onions until it is soft. 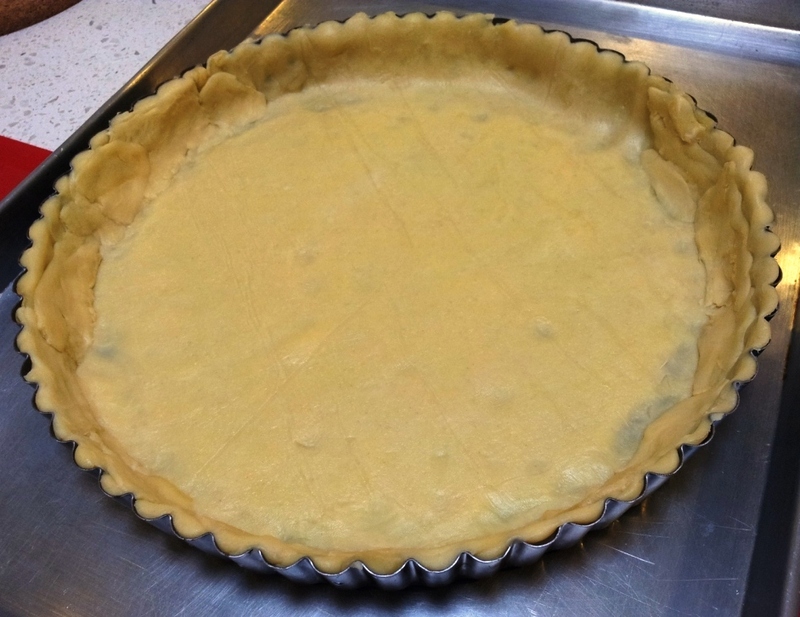 Use this time to bake the pastry for about 15 mins at 175 degree C.
For the eggy custard, whip the eggs and cream together. Mix in the salt, pepper, cayenne and dry herbs. It should have the consistency similar to yogurt. 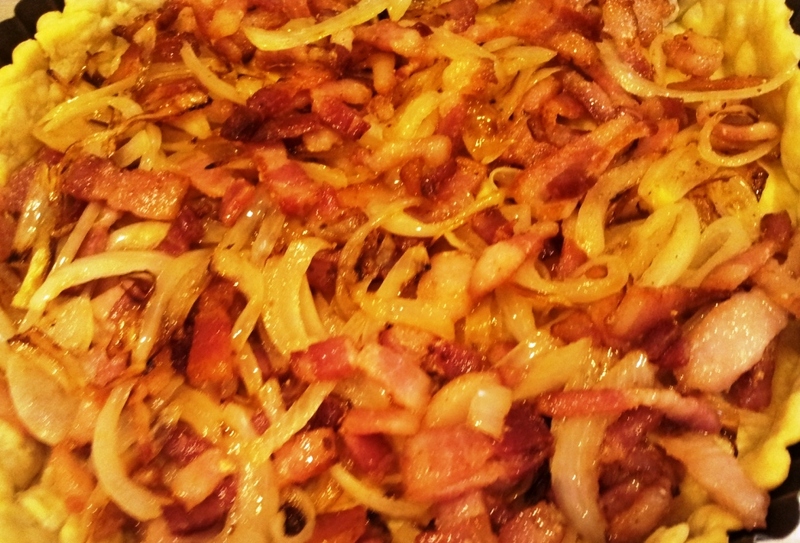 Spread the bacon and onion all over the crust. Sprinkle the cheese evenly and pour the eggy mixture slowly on top. The Quiche is now ready for baking. I allow the whole thing to bake for about 20 mins at 175 degree C to get the even browning which I like. If you don’t like the browning, just cover it with aluminum foil and steam-bake it for 15 mins at 175 degree C. Then, uncover and allow it to bake for another 5 mins at 220 degree C.
Dinner time. Nom nom nom.. yumz. oooo i must try this!